Disclosure: Our stay at the Hotel Interurban & dinner at the Waterleaf restaurant were hosted for review purposes; however all opinions & thoughts are my own. Please see our disclosure policy for more details. 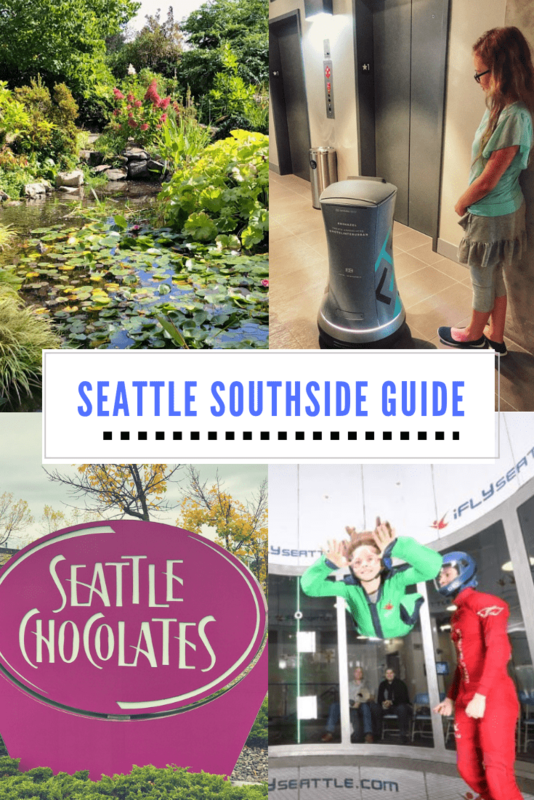 If you’re wanting a fun family adventure weekend or staycation, especially as the weather starts to turn more dreary outside, Seattle Southside is a great place to head to for a wide variety of fun for all ages from little kiddos to teens. 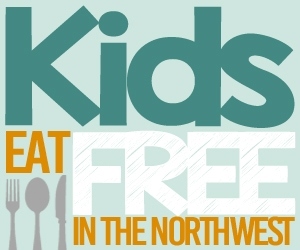 There are over 200 restaurants, Plus, it’s a great central location south of Seattle for those who are traveling to Seattle for a vacation. Everything is so centrally located, so you don’t have to travel too far or deal with the infamous Seattle traffic too much either. I love that there is now a Light Rail train station right in Tukwila, just a few minutes away, too, so if you want to spend the day in Seattle, you can just hop on the light rail to cruise into downtown & avoid all the traffic on the highways. 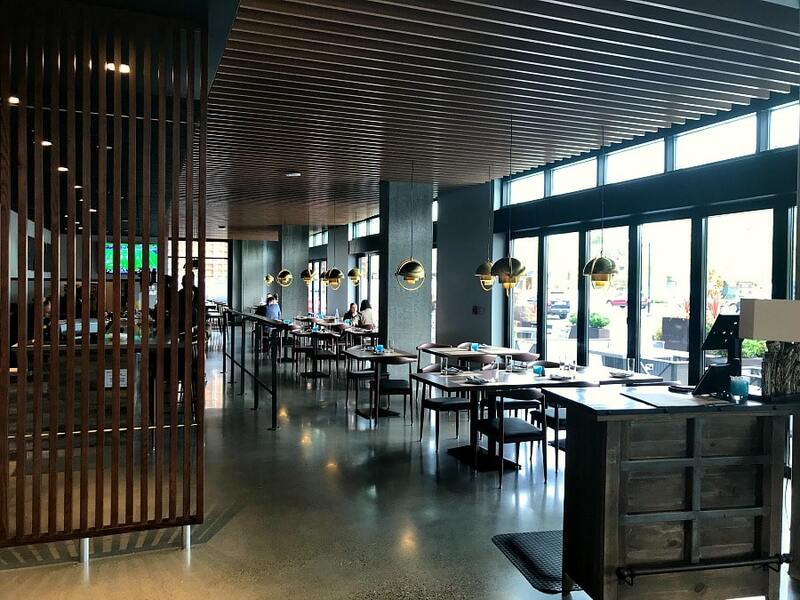 If you have driven around the Southcenter area recently, then you have seen a large new hotel that is just a few blocks away from Southcenter Mall. 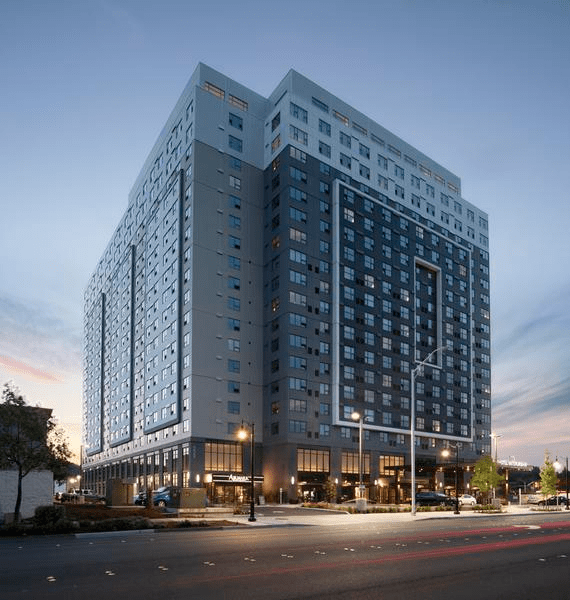 This new hotel opened last May 2018 & is called the Hotel Interurban. It is 19 stories high & the tallest building in Tukwila; in fact, it’s the tallest building between Tukwila & Seattle. It is in a central location as you can avoid some of the Seattle traffic staying in the Tukwila area, but the light rail transit that heads north up to Seattle is just one mile away if you want to head into the city. The hotel is just under 4 miles to the airport, if you are wanting to stay overnight before your early morning flight (they do have “Stay & Fly packages”) or if you are traveling to Seattle & want a central, close location to the airport & shopping, restaurants & entertainment without going into downtown Seattle. 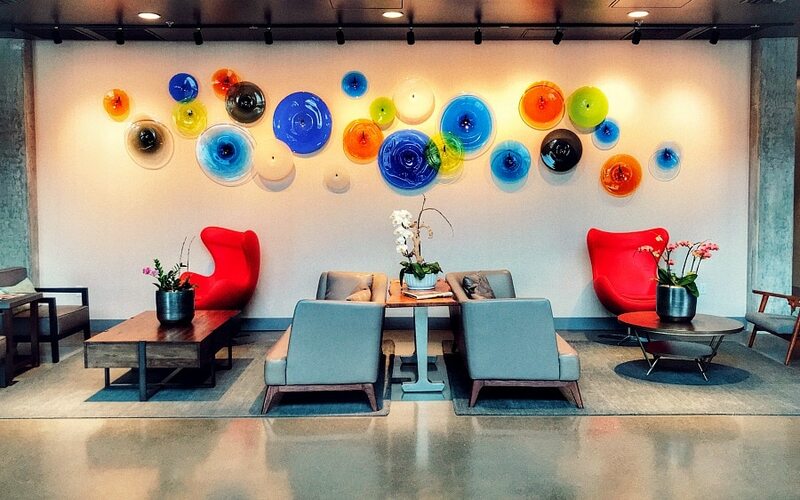 I love the chic, modern look of this hotel; when we entered the two story lobby, we were immediately drawn to the gorgeous glass art work by local artist, Bryan Rubino. The hotel guest rooms are bright & airy with comfortable pillow-top mattresses & 49″ HDTV’s. The kids will love that there is an indoor saline pool & right next door is an exercise room for mom & dad. For weekend travel, this is definitely a family-friendly location as they often offer lower rates & packages as their busiest times are weekdays with business travelers & conferences. Bring your pooch along as well as it is also dog-friendly. Kids will love the location as it is so close to so many entertainment centers, perfect for rainy Seattle weekends (check out all of the indoor nearby activities below). And if you are wanting a couples’ getaway or girls’ weekend, there are so many dining options within blocks as well (along with the entertainment options that are fun for the adults in the evenings. 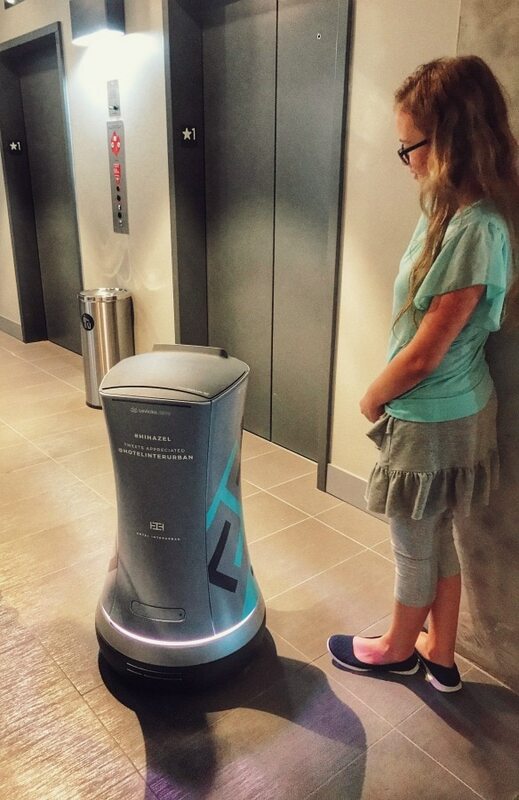 The unusual aspect of this hotel, though & the absolute highlight for my girls was the fact that the Hotel Interurban offers the first hotel robot in the state of Washington. 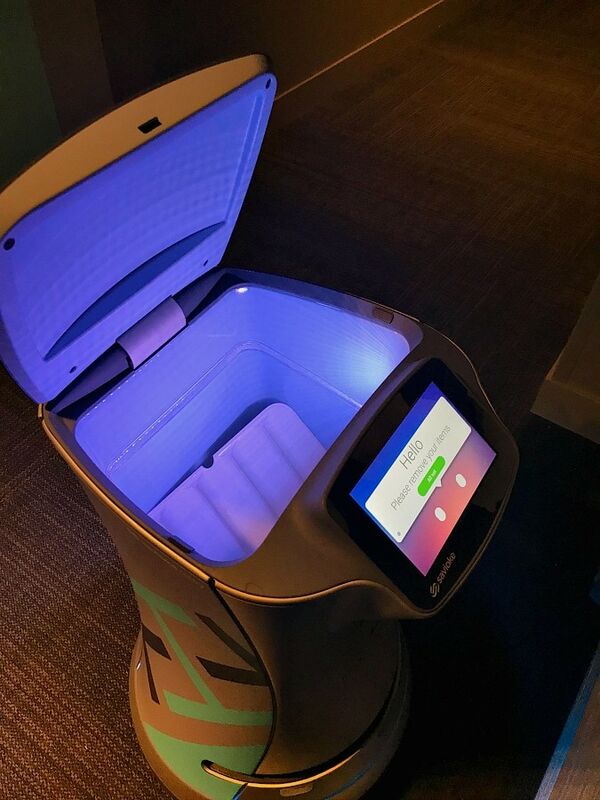 Hazel is the hotel robot who makes deliveries around the hotel – whenever you call to request anything such as toiletries, towels or even to order small items of food or drink (that will fit) , she will make the delivery to you. My girls had fun ordering some toiletries we’d forgotten & following her from the hotel lobby thru the elevator & up to our hotel room. Once she arrives in front of your door, she then calls your room so you can come to the door & she can make her delivery. Seriously, the coolest thing ever! She hangs out in the downstairs lobby next to the elevators, so you can check her out. This will no doubt be a highlight for your kids as well (& I have to admit I had fun trailing her on her adventure, too, as she even did a little dance when the elevator arrived). Make sure to check out our Instagram highlights “Seattle Southside” to see video of Hazel in action. If you are looking for a restaurant with live entertainment, we really enjoyed the Waterleaf restaurant in the Hotel Interurban. 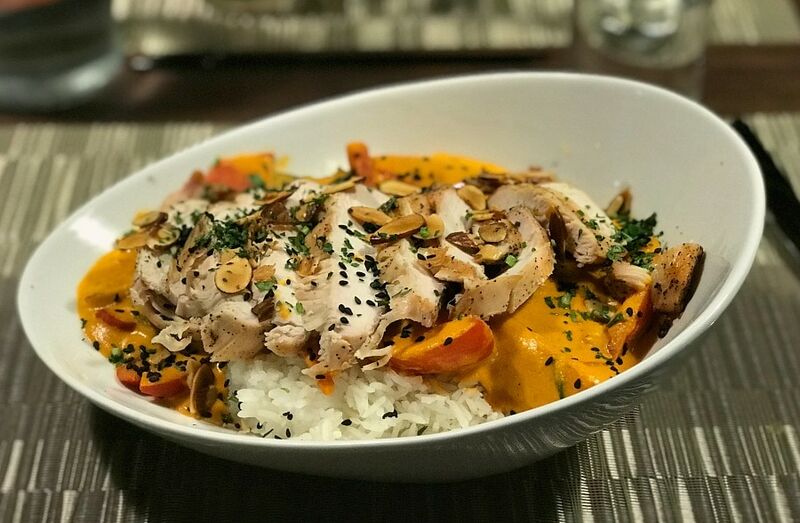 They offer a menu of food that’s locally sourced and a variety of options, everything from Chicken Curry to Dim Sum, Bacon Cheeseburgers & more. In the warmer months, the doors all slide open so there is indoor & outdoor seating, complete with fire pits. Every Friday & Saturday evening, they offer live entertainment & they also offer their Happy Hour specials during that time as well. So, happy hour is available Monday – Fridays, but also till later evening on Friday & Saturday nights, when they have live entertainment. Just make sure to ask for their happy hour menu. We enjoyed listening to the band while we ate as a family. It was nice to have a nice night out & listen to music while not worrying about having our kids with us as there were definitely families there as well as couples & groups. If you are wanting a special treat while you’re in the Seattle Southside area, you must try the 85 C Bakery in the Southcenter Mall. This was just a few blocks away from our hotel stay at the Hotel Interurban, so we hit up this bakery on a Sunday morning for breakfast before heading out for some outdoor activities. This bakery arrived in February 2017 & it has been a hit ever since it’s arrival, often with long lines. 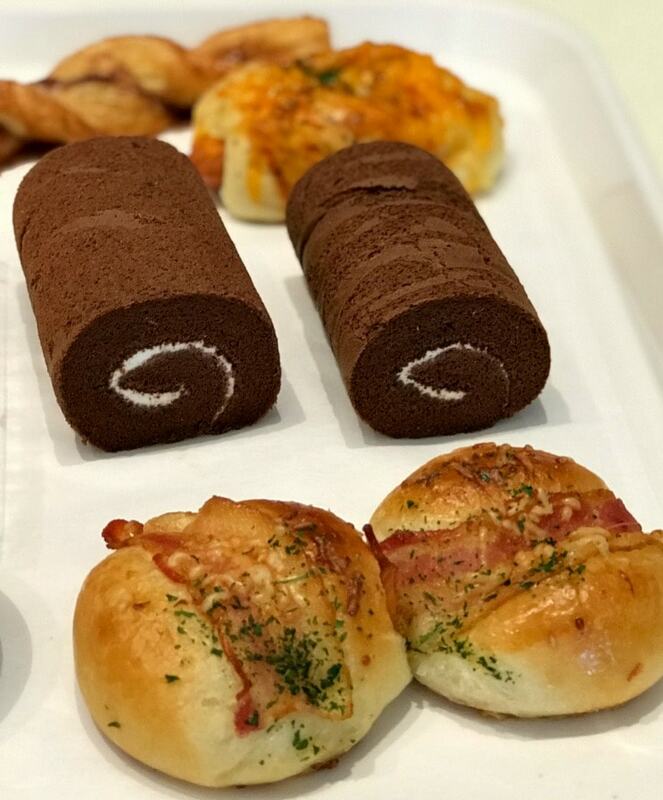 But the lines are oh so worth it as they have over 50 different varieties of Taiwanese pastries that are baked fresh all day long. You’ll find both sweet & savory varieties of pastries & breads as well as mouthwatering desserts. Everyone we saw had their trays piled high. They were bringing bags home of all this deliciousness. 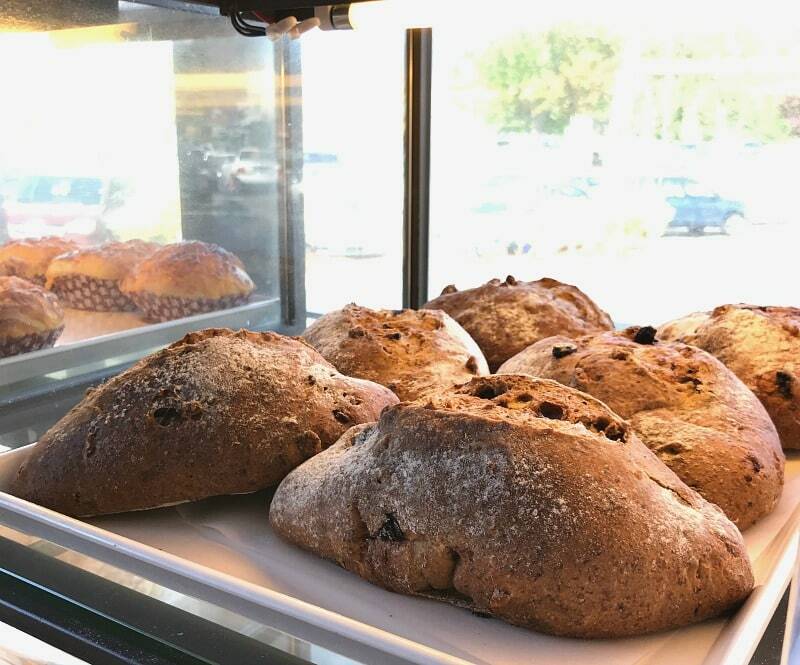 So, definitely hit up this bakery if you are spending the day or weekend in Seattle Southside – maybe bring a few to your hotel for breakfast – or a late night treat! You won’t regret it! Now we can’t wait to go back & try some new varieties! If you are down by the waterfront, one of our favorite ideas for lunch is to look for a good fish & chips place. Salty’s Seafood at Redondo Beach has a fish bar where you can grab a quick bite to eat on their picnic tables overlooking the beach. Order fish & chips or a bowl of chowder after a visit to the beach or the aquarium next door. If you are wanting a bigger meal, Salty’s on Alki is my favorite place in the Puget Sound to go for a weekend brunch & I bet the Redondo Beach brunch would be delicious too. 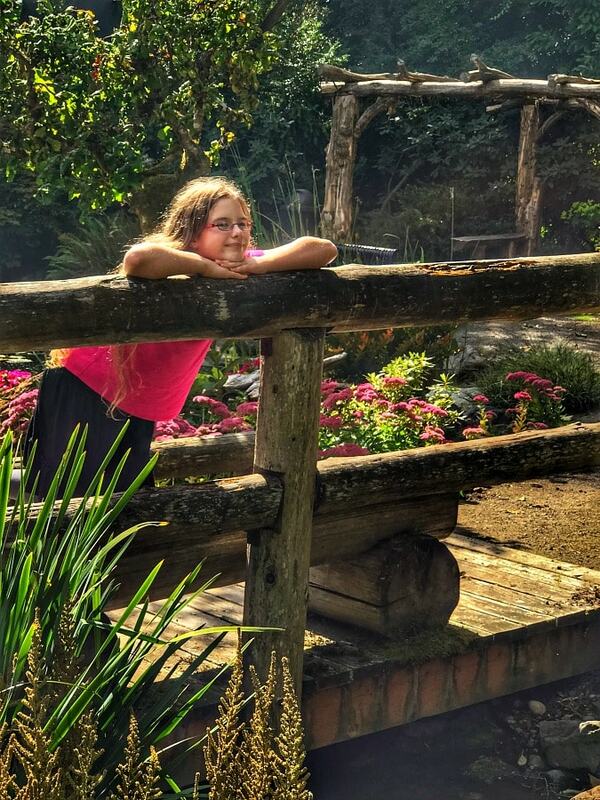 If you are looking for a little oasis away from all the hustle & bustle of shopping, entertainment, dining & more when visiting the SeaTac / Seattle Southside area, the Highline SeaTac Botanical Gardens are tucked away just a few miles north of SeaTac airport on just 10 acres. Even though they are in such close proximity to Sea-Tac, it really does feel like the perfect spot to getaway for a stroll thru these peaceful gardens. We visited in late September & there was still plenty of summer color, but I bet the gardens are gorgeous with the changing of the leaves during autumn. There are gazebos, ponds, meandering creeks and water cascading over the rocks that just relaxes me so much to listen to the water. There is also a rose garden that would be stunning in the early summer. 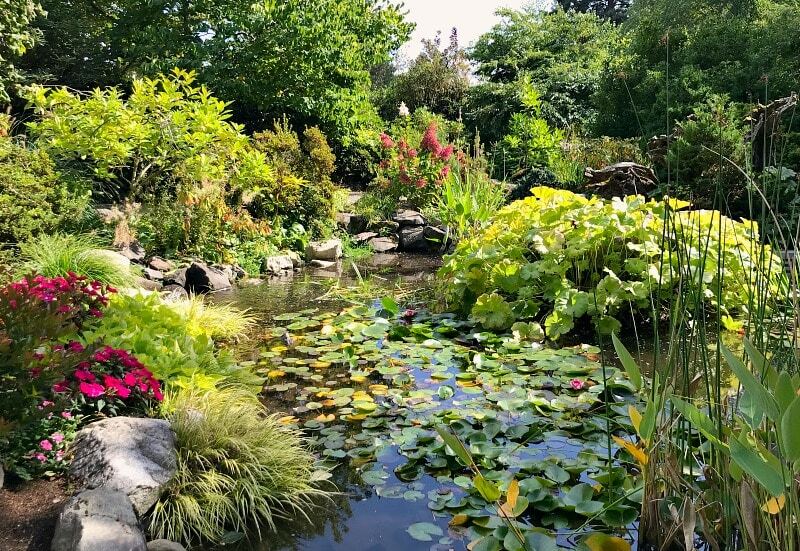 Admission is free to these gardens, making it such a nice place to stop over for a visit when you are near the airport & just need a chance to relax & unwind. Saltwater State Park is south of SeaTac & Des Moines and just 2 miles from I-5. 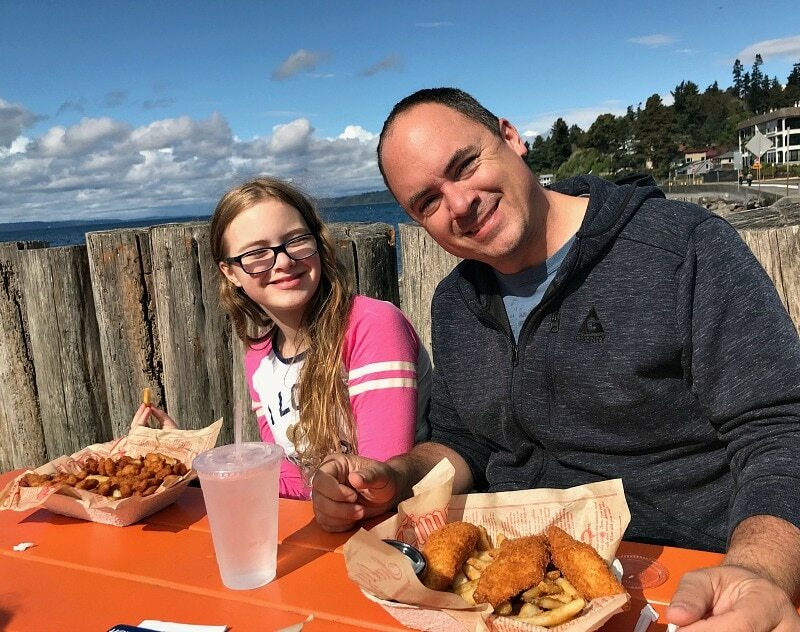 It’s a great beach to check out if you are wanting a classic PNW beach experience with driftwood for forts, tide pools as well as a creek with salmon spawning in the fall. Saltwater State Park is also the only state park with an underwater artificial reef for diving off-shore for those scuba enthusiasts. It can be a popular beach to visit in the summer, so visiting on the weekdays or in the off-season is when you will have the best luck with less crowds. The Family Fun Center in Tukwila is actually a place where you can head for indoor or outdoor fun. For outdoors fun, they offer putt-putt mini golf, go-karts, and a Screamin’ Swing ride. Indoors you’ll find bowling, laser tag, bumper cars and much more to keep all ages in your family having a great time. We frequently see the Family Fun Center on Groupon, too, for almost 50% off the packages, so it’s a great way to save money on your visit. Just 5 minutes away from Southcenter Mall in Tukwila (& 10 minutes from the Sea-Tac airport) is the Seattle Chocolate Factory. They now offer chocolate factory tours for both adults & kids (kids need to be 6 & over) for $10/person. 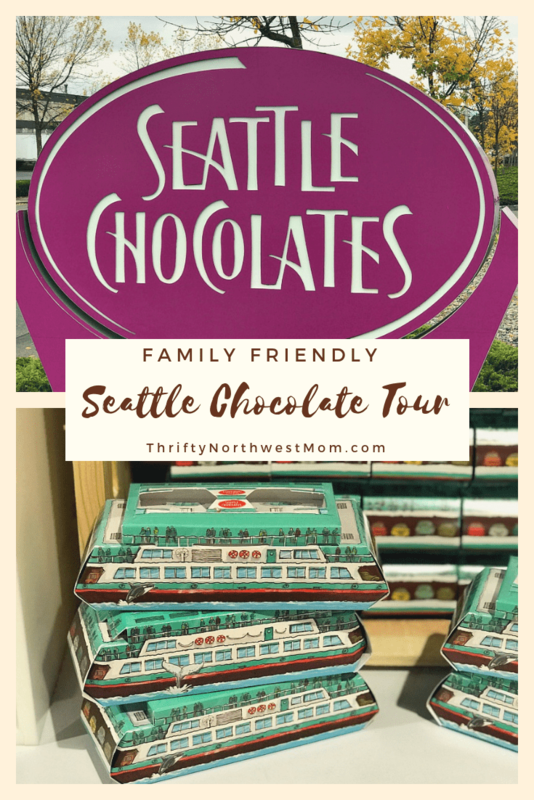 The tours include learning about the history of chocolate & the process for making chocolate, tour the Seattle Chocolate Factory & then try various samples of Seattle Chocolate bars & truffles & jcoco chocolates (their culinary chocolate line). Even if you don’t have time for a tour, make sure to stop in for some chocolates – you’ll find the widest variety of chocolates at their flagship store as well as frequent discounts on factory “seconds”. They make great gifts for out of town guests or to take home from your travels if you are visiting Seattle. 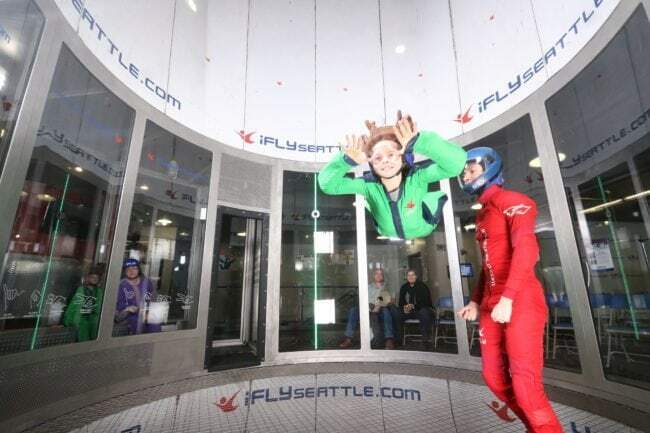 If you want some adventure for your trip to the Seattle Southside area, the place to go is iFly Indoor Skydiving Center. This is just right off the freeway, minutes from Southcenter Mall & Sea-Tac airport. It is an indoor skydiving center where the average person can experience a taste of what sky diving is all about within a safe environment. It is kid-friendly so it’s a fun adrenaline activity for your adventurous kids. Check out our review of the experience as well as ways to save & discounts on the iFly experience. 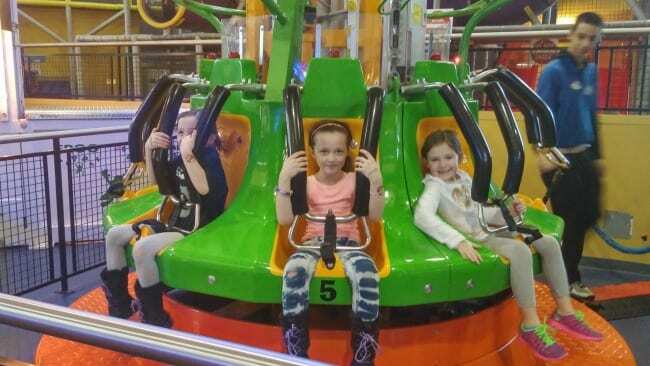 The Seattle Southside area is filled with so many entertainment options — Round 1 is a family entertainment center right at Southcenter Mall (next to the 85 C Bakery) and it’s filled with so many activities kids will love. Try your hand at bowling, karaoke, billiards, and more than 200 fun arcade games. 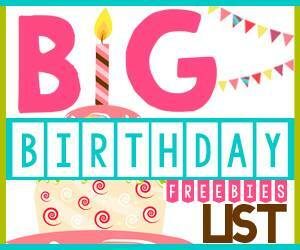 Kids can earn tickets for prizes from a huge prize room. I’ve also been to Round 1 in the evening & it can be an entertaining place to go for a double date or a girls’ or guy’s night out. 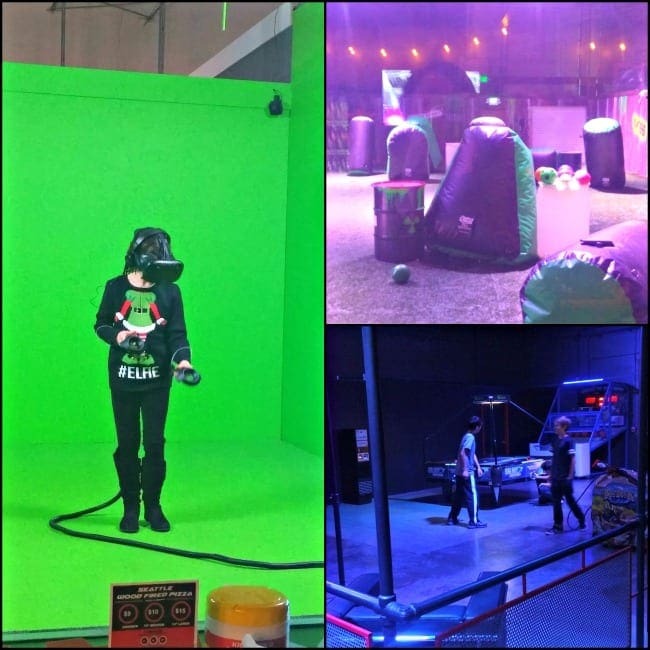 Virtual Sports is an entertainment facility featuring Tactical Laser Tag, Nerf Rival Assault Battle Field, Virtual Reality, Arcade games & an eSports Gaming Area. 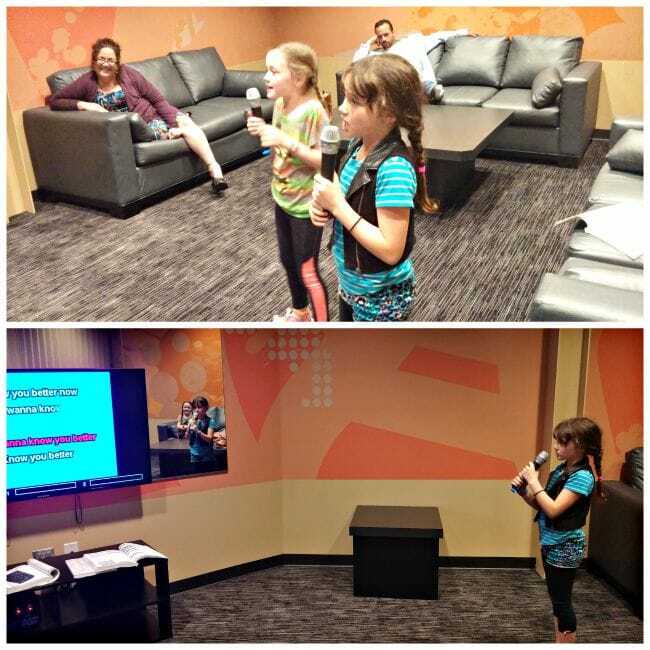 Great entertainment option to take your tweens & teens or head out on a date night with friends. They also have wood-fired pizza & a bar on site too. If you want to head to the beach, a fun and educational activity to do while you are there is to head to Redondo Beach and check out Highline College’s MaST Center (Marine Science & Technology Center) on Saturdays. It is located right next to Salty’s Seafood restaurant, just a small building out on a dock. 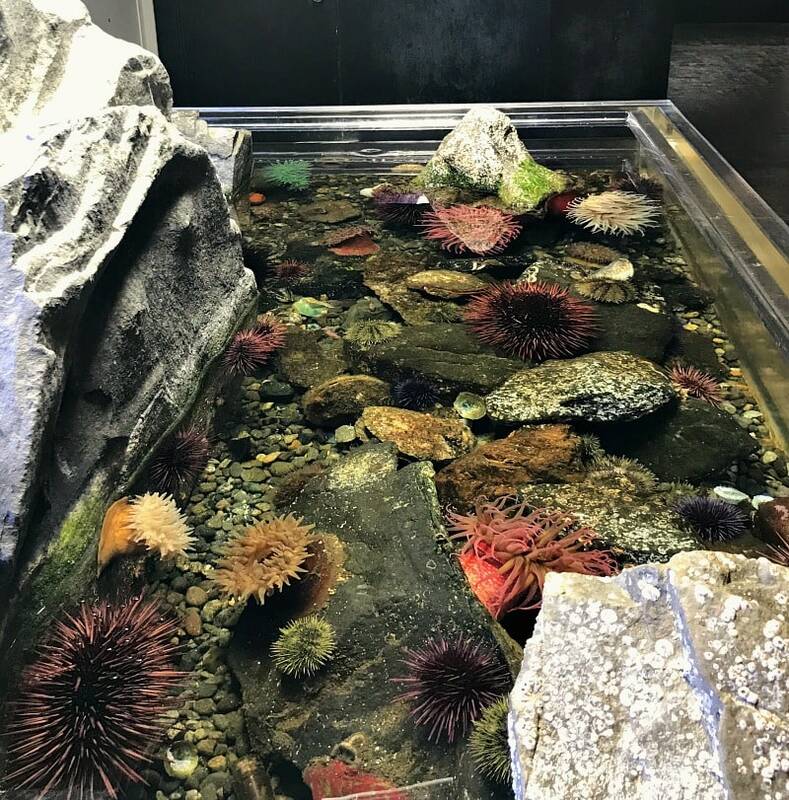 This is a teaching facility during the week, but they open their aquarium and touch tanks to the public on Saturdays from 10am – 2pm (& on Thursdays 4-7pm during the summer months). This is totally free and even though it is small, the touch tanks are filled with fascinating sea life. 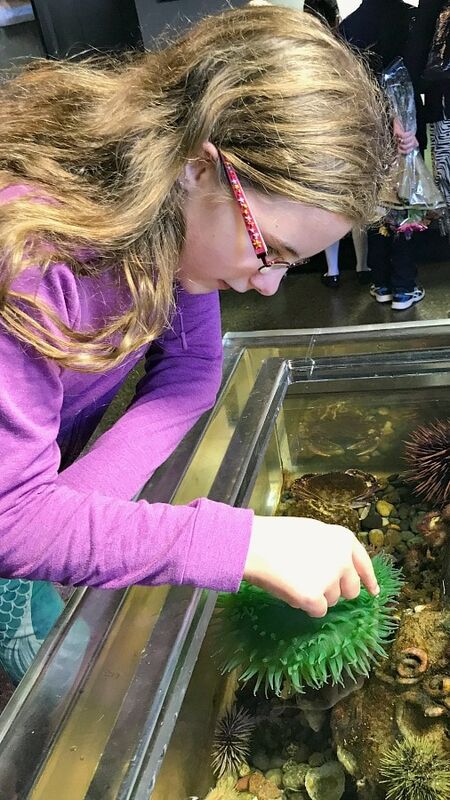 Our girls loved getting up close & touching all of the interesting marine species like sea anemones, star fish, crabs & more. The tanks are constantly changing based on what they are finding in the tide pools out on the beach. What are your favorite things to do in Seattle Southside?